Recognized favorably amongst their patients, Ouch! Urgent Care has an average rating of 4.9 stars out of 5 based on 799 total ratings. The base price for an office visit at Ouch! Urgent Care is $125 with additional services being an extra charge. Patients typically pay between $30 - $125 for common services. Ouch! Urgent Care accepts many major insurance plans and multiple forms of payment, making it easier to get the affordable care you need. It is always a good idea to contact your insurance company before your visit to ensure the Clinicis in network for the service(s) you're seeking. It was a great experience, the pa ( I think Amelia), was an amazing girl and she listened very attentively. The PA was very knowledgeable and re- assured me that my injury was progressing as expected. She also made some other recommendations to help me feel more comfortable. Many thanks to Lindsey Evans, PA, and staff. Dr. Lindsey Evans took her time with my appointment and was very kind and knowledgeable. Office was very clean and receptionist was nice too. Great experience and wonderful staff! This visit was for my son, but I have been a couple times for myself. Staff is knowledgeable, friendly and kind. I also recommended to my Mom who liked you. Amazing! Staff was kind and PA was professional and so good. Very friendly workers. Fast service. 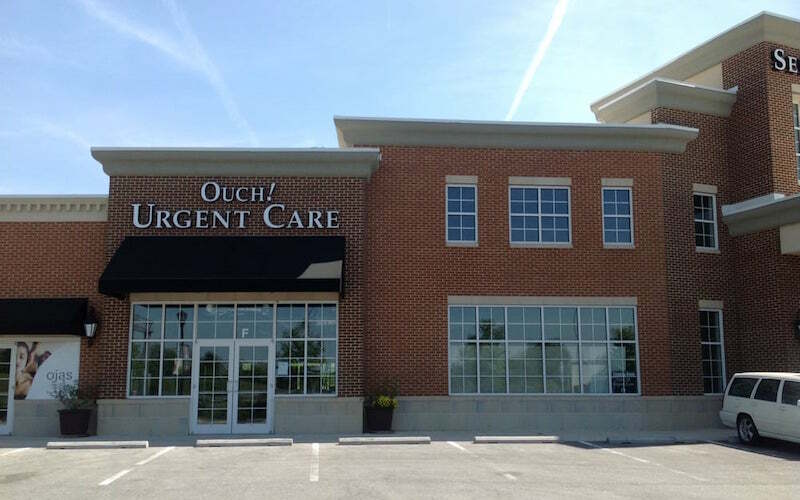 I showed at Ouch Urgent Care without appointment. I filled out my paperwork and I was seen by the doctor quickly. I would highly recommend Ouch Urgent Care. It was fantastic. I was able to get an appointment online and once I arrived I was seen quickly. The entire office was wonderful. The best care anywhere. Thank you all so much. I loved the environment and staff there. Especially doctor O who kept it straight forward...love it. Definitely recommend. Very professional, polite, and efficient. Will come back next time my primary care is off hours.